It is an important part of today’s business practice to secure customers for the future of the business. If you have a basic approach to your clients and you tell them about the savings they are making working with you, there is a market that you are missing, too. Through the service that you offer and how you are able to guarantee the products and services for your clients, your can push up prices. This will still gain the clients needed to run a successful business. Be sure to tell customers how you package your goods and services, telling people there are options that are cheaper than you, but their service and what they offer in terms of value for money could in fact be less than what you offer. Getting the right approach to the marketing that you are aiming to achieve is simpler than you might have imagined. By focusing on this new approach to marketing your product, it can help to elevate it to a higher quality product in respect to its markets opposition. This positioning can easily demand the higher price because they are getting a better quality of service and product. Having the right sales team, which is able to draw in the customer that is looking for a service, can mean that you will see an increase in your profits. However, it can become easy to focus too much on the profits. A slip in this area in terms of quality can mean a quick downturn in business, which comes from personal recommendations from happy customers. 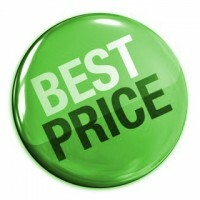 Pricing in a competitive market isn’t always about the cheapest. This often comes with the poorest customer service and is not the ideal option for you or your customers. Give great customer service and value for their money, then you might be able to charge the higher prices for your services and still win over potential customers.